Shaw’s offer a range of specialist products to aid with the annual electoral roll canvass. We can supply canvassers’ carry cases to guarantee that your representatives have everything they need to hand. These bags feature an adjustable shoulder strap, business card and pen holders and a zipper front pocket. 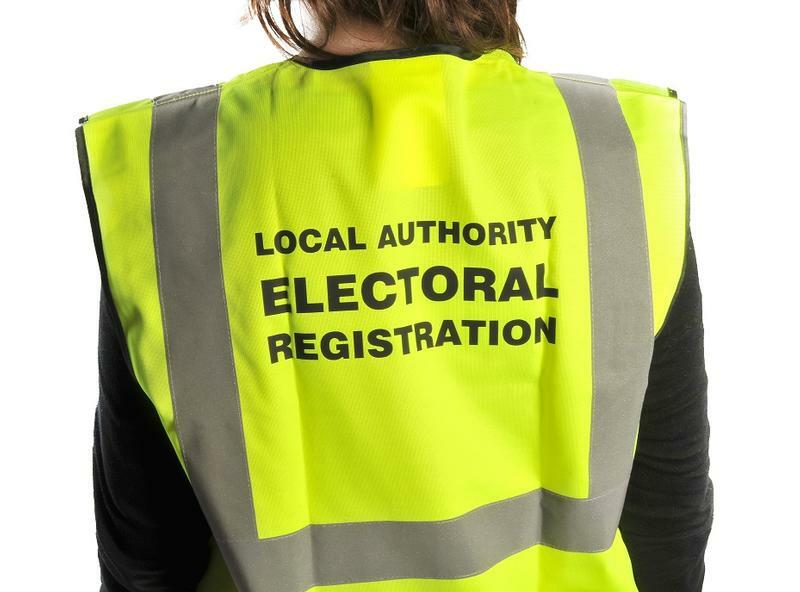 We also offer high visibility canvassers’ vests – either plain or printed with “LOCAL AUTHORITY ELECTORAL REGISTRATION” as standard. Our fluorescent vests will ensure that those individuals collecting information for the electoral register appear official and uniform. The high visibility vests can also be customised with your own authority details at additional cost and subject to minimum order levels and manufacturing lead times. Other colours are also available to special order. Once again we are offering a selection of personal attack alarms for canvassers to carry with them on their rounds to ensure their personal safety. Further product details and images for all of the above can be found by clicking here. For more information, or to receive a quote, telephone the Shaw’s elections hotline on 01322 621137 or email elections@shaws.co.uk.